Bitmaker offers courses for people who want to learn to code. Learning to code in two days at Bitmaker is quite a stimulating experience. 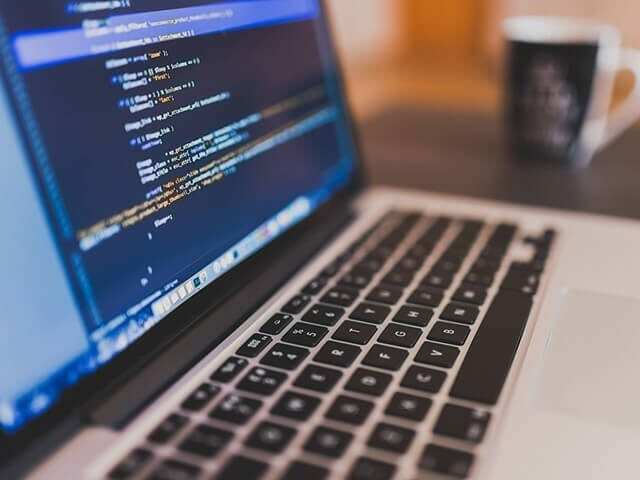 Earlier this month, I got a chance to try out one of Bitmaker’s coding boot camps, designed for anyone who is thinking about making a career switch or contemplating whether or not they can really understand basic code. 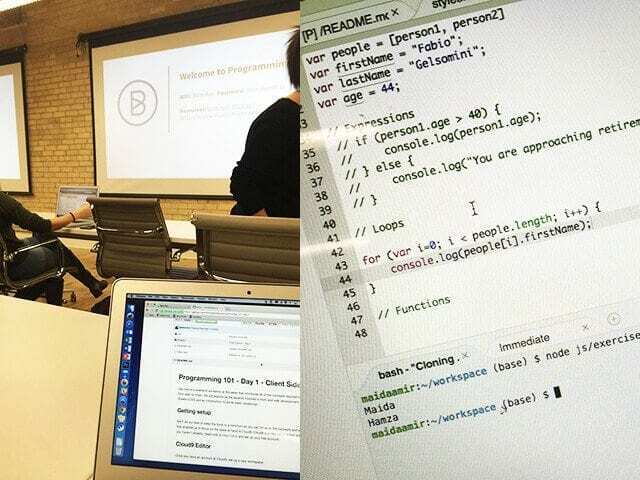 Programming 101 was an introductory, 12-hour workshop for beginners looking to learn to code. It explored the core languages used by web developers and provided the foundation needed to start coding. Day 1 started off with an introduction to HTML and jumped right into syntax and the basics of Cascading Style Sheets (CSS). Being able to use my own laptop made the setup process quick and easy. The instructors provided guidance at every step and allowed us quick breaks to catch up in case we needed more support. There was plenty of help available at all times and we were walked through each detail to stay in sync with the concepts. The instructors gave a quick demo of the web application that we were going to build during the boot camp, and then the class was divided into small groups for exercises on HTML and CSS so we could grasp the fundamentals of web development. Did I learn to code? My favourite part of the boot camp was that so much attention was given to the practical application of coding. We weren’t just learning the concepts; we immediately applied the concepts toward making an app. The in-person Q&A time with the instructors was so valuable. I was able to ask questions and get instant feedback which greatly helped me put the concepts into perspective. Within two days, I was able to bring life to a static page! The two-day workshop at Bitmaker was a complete learning experience and I highly recommend it to anyone looking to explore programming! You can find more coding courses on the Bitmaker website. As well, MaRS is hosting a UX 101 Bitmaker Bootcamp this weekend — learn how to make ‘user-centered’ design decisions. Register here!